Despite criticism that A-level language exams have become too difficult for non-native speakers, this year has seen an increase in the number of top grades awarded. In Spanish, 36.9 %of students achieved an A or A*, an increase of 2.5 % on last year’s figure of 34.4 %. Students awarded an A or A* in French rose to 39 % compared to 37.3 % last year. And in German, the top pass rate increased from 39.6 %to 41.4 %; an increase of 1.8 %. Director of Regulation at the OCR exam board, Mark Bedlow, confirmed that in the main the number of students sitting foreign language A-levels was sadly in decline, yet this was gradually slowing down, and in Spanish, it had reversed. This week’s encouraging results come after examination regulator Ofqual announced that changes had been made to exam content, to help non-native speakers achieve better grades. This decision followed a period of intensive research that showed native speakers are far more likely to achieve top grades over their non-native counterparts. Unlike at GCSE level, A-levels in modern languages are designed to test more than just vocabulary, grammar, language and fluency. A-levels test the ‘mastery’ of the language and also have a literature component. This is where native speakers are thought to have a much stronger advantage. If your son or daughter is struggling with modern foreign languages at school and you’re conscious that to achieve their career goals they need that pass or achieve a higher grade, la Academia can help. 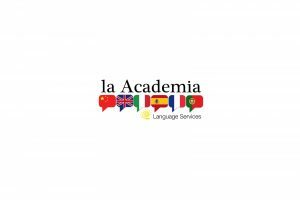 Over the years, la Academia has helped many students to achieve success in their language exams, preparing them with focused and effective teaching in Spanish, French, German, Italian and many other languages. I honestly believe I couldn’t have done it without all the help and support I received from my teacher Silvi. She has played such a huge part in my life and has not only massively extended my knowledge of the Spanish language, but has been there for me no matter what. Whenever I had questions about homework or exams, she was only ever a phone call away. We have a wide selection of experienced and helpful tutors who generally provide 1-2-1 tuition. But if there are two or more students studying at the same level or preparing for the same exam, it is often possible to arrange group classes. Tuition can take place either at our language school in Cheadle or else in the comfort of your own home. And it’s never too early to start the process. Call us for an initial chat, we’ll arrange to meet with you to find out your goals and aspirations. If you like what you see, we can then look to develop a tailored programme to help you or your children achieve language success.